The new way to cut and serve watermelon with ease. Easily remove and serve slices. 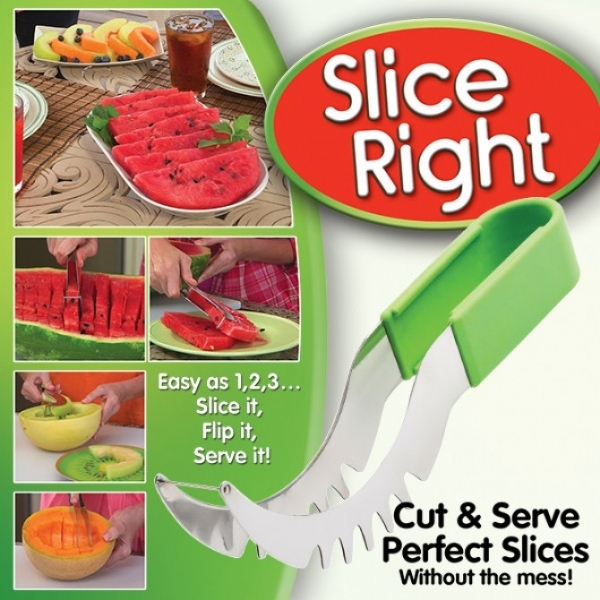 Slice & Serve Melons with ease with Slice Right as seen on TV! Slice Right&apos;s innovative design cuts the bottom of melons, as well as the sides, so you get perfect slices in one easy step. Plus, since Slice Right keeps all the juices in the rind, there&apos;s no messy clean up! Slices very good. Performs just like advertised. Works great on my watermelon, saved time as well.